A bitter legal battle between the heirs of Don and Roberta Sheldon over a family trust ended last week with an Alaska Supreme Court decision. The case pitted brother against sister, with a backdrop of North America's tallest peak and the legend of their parents, a couple akin to Talkeetna royalty: famed glacier pilot Don and historian and community activist Roberta. Holly Sheldon Lee had asked the court to overturn lower rulings regarding the way her brother, Robert Sheldon, ran the trust put in his care before their mother's death in 2014. But the state's highest court in a unanimous ruling Friday affirmed the previous rulings, denying her appeal. 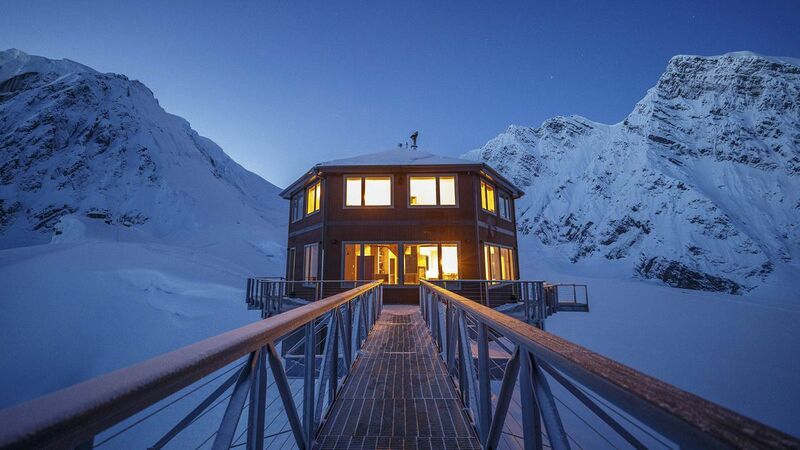 Robert Sheldon is an international businessman with a home in Anchorage who built the new Sheldon Chalet, a five-room luxury lodge, near the older hut. Holly Sheldon Lee owns a Talkeetna air service with her husband. Statements issued by both after Friday's opinion indicate the animosity between them continues. Robert Sheldon emailed a statement: "So concludes a silly waste of time caused by (someone) both a Superior Court and a Supreme Court described (as a) vexatious litigant." Holly Sheldon Lee also emailed a statement: "It would be entirely erroneous, even thoughtless, to conclude that the Alaska Supreme Court determined that Robert did nothing wrong when instead the Court simply declined for procedural reasons to address the substance of Robert's misdeeds, thus giving him a procedural pass. As Trustee of our mother's Trust, Robert should not be seeking to shield his fiduciary activities from public and legal scrutiny as he has succeeded in doing so far." 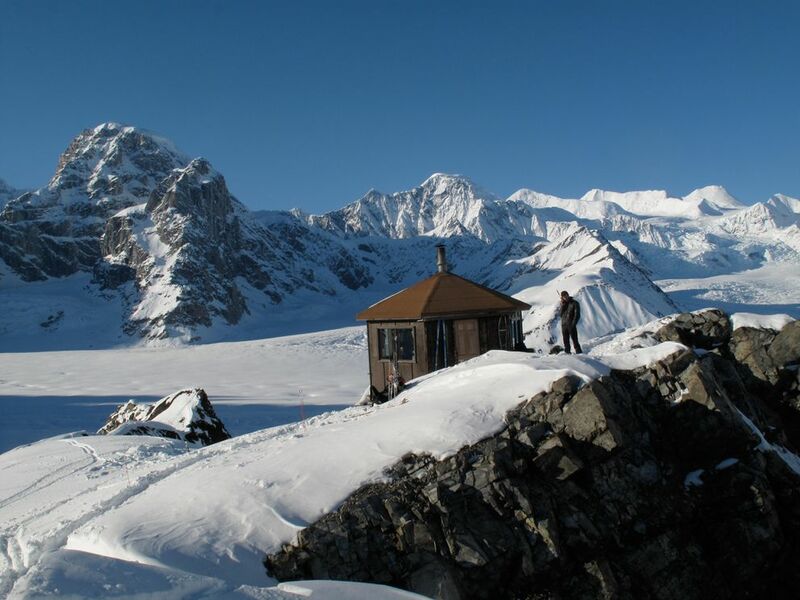 The trust includes the six-sided Sheldon Mountain House built in the 1960s by Don Sheldon on a rocky outcrop at 6,000 feet altitude within Denali National Park and Preserve. Don Sheldon died in 1975. Roberta Sheldon created Mountain House LLC in 2006 to own and manage the house her late husband built. It was folded into a trust she created in early 2014 for her three children; sister Kate Sheldon isn't involved in the legal dispute. Sheldon Lee sued her brother in 2015 over his administration of the $1.7 million family trust and her access to the mountain house. She appealed to the Alaska Supreme Court after a Superior Court judge sided with Robert in 2016. Robert contended his sister was refusing to comply with a settlement she signed in late 2015 that gave her a third of the trust, which includes the mountain house. Sheldon Lee claimed that Robert failed to provide an accounting of trust assets and didn't properly distribute them. She contended the mediated agreement wasn't valid because she was feeling sick during the lengthy negotiations and didn't realize the paperwork she signed proposed the actual settlement. Sheldon Lee had also accused her brother of depriving her air service of the lucrative contract to fly visitors to the mountain house. The contract was awarded to a competitor. Robert Sheldon has said his sister never had exclusive right to anything having to do with the mountain house. Her appeal to the Supreme Court focused on the Superior Court's enforcement of an arbitrator's decision that the settlement was valid. She also appealed the denial of a petition to review her brother's compensation and attorney fees, and the court's award of attorney fees to him. "At the end of a marathon nine-hour mediation meeting, I was very ill and exhausted and merely acknowledged receiving a Proposal, which Robert then treated as a settlement designed to cloak his conduct as Trustee," Sheldon Lee wrote in an email. The five Supreme Court justices found, however, that Sheldon Lee failed to object to the arbitrator's decision on the settlement in a timely manner, according to the 17-page opinion written by Justice Joel Bolger. The justices held that a mediation proposal that referenced settlement was signed by Sheldon Lee's attorney who was with her during negotiations and a "valid enforceable settlement agreement." The justices also rejected Sheldon Lee's arguments that the lower court erred in awarding her brother "enhanced" attorney's fees, according to the opinion. Awarding enhanced fees was "not an abuse of discretion" in light of what the Superior Court deemed "the vexatious nature of Holly's post-mediation litigation," Bolger wrote. Sheldon Lee said she plans to request a rehearing. The court rarely grants such petitions, and denies them if the same issues are argued again, according to online information from state courts.